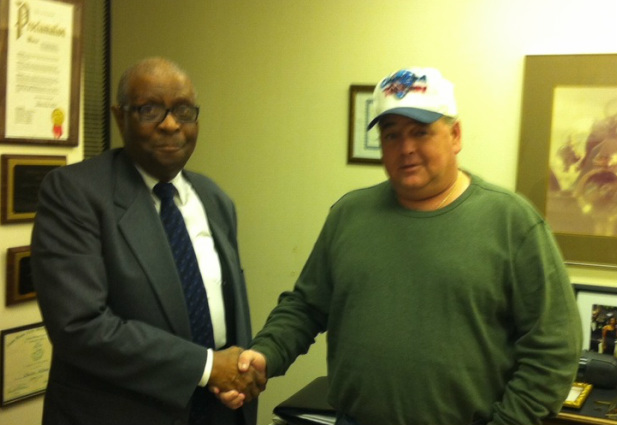 We can no longer allow others to determine the relationship between our communities, Charles Huffman stated upon meeting the founder of the Cleveland Tea-Party for the first time, we will unite to pursue our common interests. It is the stated policy of the Cleveland Tea Party not to endorse candidates, but there is one thing upon which we agree, and that is that Gregory deserves a fair hearing so that voters can decide for themselves. I look forward to the opportunity of working with you, Mr Huffman, in an effort to insure that Gregory has the opportunity to speak to the public directly. He has an interesting approach to many of the problems problems facing our communities, such as, how we develop our human resources and put Americans to work with livable wages as well as the structuring of our educational system so that our graduates are prepared for the jobs of the future. Gregory brought us together, and now it is for us to continue to work together to make this community, this state and nation a land of opportunity once again for all Americans. This is a great and historic day, Huffman stated.